Remember when life was that simple? See any pattern? You don't have to be an amateur sleuth to figure out this one. Don't get me wrong. These things are on my list, too. Especially the Kindle and Wii. But now that I've launched my kids - college, independent living, finally!, I try to include something more meaningful. Last year, I began cookbooks for them - pretty binders, paper with a nice border, and a few of their favorite family recipes. I also included some of the ingredients I knew they didn't have, like spices. Or that were expensive, like tenderloin for the family's favorite stir fry. They loved it. In fact, my oldest son called yesterday to make sure I was adding a few more recipes this year. 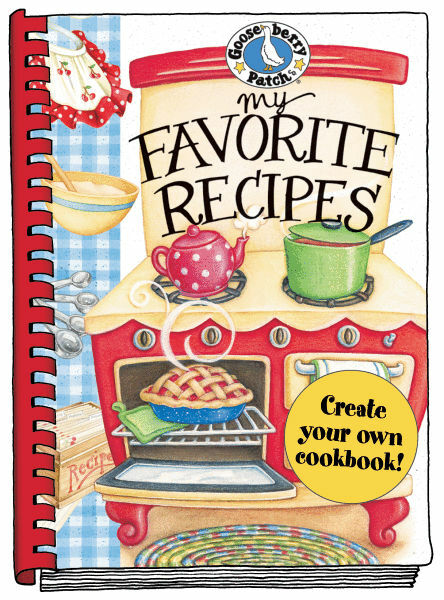 When the electronics break or become obsolete, that cookbook and its recipes will still be going strong. The cookbooks are a great idea. I mean, who doesn't love some of the recipes from childhood? And yes, I do find it very endearing that your son called to inquire about the recipes. Clearly, your gift to them, was a hit....even in this age of electronics. Handmade gifts are always the best because of the thought and preparation that went into creating the gifts. Thanks, Lorraine. You're the best. And I'm sorry you won't have those teeth by Christmas! I think this holiday will bring a real earthquake to the book-buying world, when everybody opens their Kindle/Nook/whatever. Hang on to your socks! I love the recipe idea. With all the technology we have now I am curious to see what the next 30 years brings. I love the cookbook idea. I wish my Granny had done that for us. I do have some of her recipes and I have many of her store bought cookbooks. But I wish that she had put them all together or that we had done that together. I think you just gave me an idea of something I can do for my cousins for next year. I can try to pull all those recipes together (and maybe write up some of the memories associated with them) and put them in a cookbook for each of us. Thanks! I see family cookbooks in your futures! Years ago, my mother-in-law put together a cookbook for me of favorite recipes that went back generations. I passed it on to my daughter when she married with a few recipes she loved from my side of the family. This gift has been well used and will continue to be. I love the cookbook idea too. Paper never becomes obsolete. I was able to get some recipes and very old pamphlets fron my mother-in-law's home when she passed. But we got a new TV last month and I love it! What a great memory book it will be, too, Deb. Thanks for the idea! I actually have my paternal grandmother's church cookbook, printed back in 1948. Mom went through it and marked every recipe that was from a family member with how they were related to me: grandma, aunts and aunt-in-law, there's even one from my great-grandma! Plus it's my mom's handwriting, which makes it even more priceless. This is a great idea. I think I'll do this next year, adding in some of my mother's old recipes as well as the ones the kids remember me making. 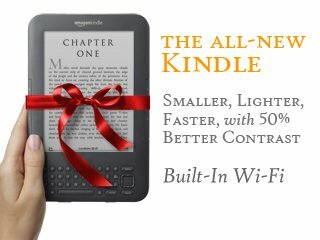 By the way, my daughter & son-in-law gave me a Kindle for my birthday. I still prefer paper, but love the convenience. The Kindle (or any ebook reader) is great for traveling. i LOVE MY kINDLE FOR pc APP. i GOT IT FREE ON aMAZON .COM. I am also loving Deb's cookbook. Lots of 'our family recipes' in it. I will just l et the girls call me for recipes, unless they figure out to write them down... I love getting out the old blue notebook and sharing memories and laughter. Having so much fun with all the new books to read ladies! This is a brilliant idea...one that I will begin assembling right after the New Year for next year's gifts :-) Going to look for your Gertie cookbook now! Great idea for the cookbook. When my daughter was married I sent out recipe cards to all the guests with a request that they write their favorite recipe and bring it to the wedding. The basket was overflowing with cards. What a lovely idea, Deb! Thanks for sharing. Love that cookbook idea, Deb. And I didn't know about your Gertie cookbook! That's great. I love the idea! I will borrow it when Lady K is ready to leave the nest in 12 years or so. My mom used to do something similar in her care packages. When I was stationed overseas,she would send items I couldn't find in the base commissary like Kix cereal and Phisoderm soap. She also would send a recipe for sour potatoes and fried chicken dredge mixture or the chocolate chip cookies or molasses cookies I loved. My electronic toy on my wishlist this year is a Nintendo DSiXL. Lady K wants one and I thought it would be nifty to have my own for those brain exercise games. We'll see if Santa comes through.